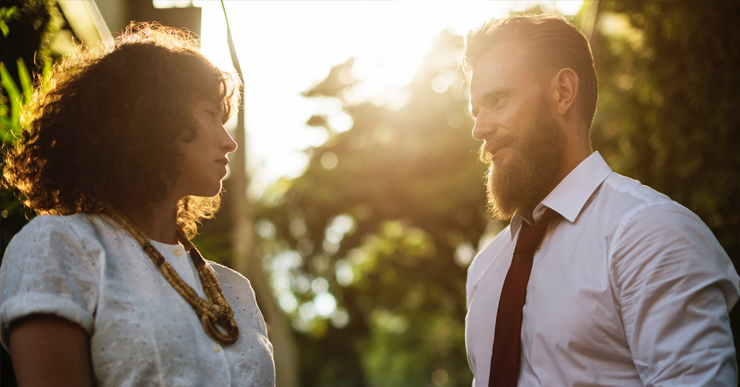 Searching for a spouse by wading into the uncertain world of dating isn’t easy, but fortunately, the excitement of a new relationship outweighs the stress of a series of awkward first dates. Finally deciding to enter into a committed dating relationship brings a sense of relief and hope as a love story begins to unfold. However, discernment doesn’t end when an official relationship begins, and the start of a dating relationship isn’t a guarantee that a proposal is in the future. Dating exclusively provides the opportunity to get to know someone on a more intimate level and also explore long-term compatibility. Red flags and warning signs can be easy to ignore at the start of a relationship, but it’s important to be able to look past emotions and attraction. Are you wondering if your relationship is heading in the right direction or if it’s time to move on? Prayerfully consider the following questions which can help you evaluate if your significant other is the one for you—or someone to say goodbye to. Are you growing in holiness together? All Catholics are called to grow in holiness and each person’s particular vocation is a response to that call. In the vocation of marriage spouses love, serve, and sacrifice for one another, and these practices should start before marriage. Is your boyfriend or girlfriend leading you closer to God, or further away from him? Pursuing God and growing in holiness is a lifelong journey, and there are certainly ups and downs, but a shared commitment to making it to heaven is the most important component of any relationship. Do you have a common dream? Being able to share your hopes and dreams with someone who understands, supports, and shares them is one of the most rewarding aspects of any relationship. Does your significant other support your dreams and passions, and do your hopes and desires align? Is he or she excited to support you as you pursue your dream, and are you able to do the same? Does your significant other assume the best or think the worst? Disagreements and difficulties happen in even the strongest relationship, but a spirit of Christian charity can keep misunderstandings from escalating. A major red flag in a relationship could be a person who consistently assumes negative intentions and is slow to forgive a mistake or oversight. Willingness to assume the best of a person is essential in overcoming the conflicts both small and large. Are you in love or afraid to be alone? Love and care for the other person should be the basis of any relationship, rather than the fear of the relationship ending and having to be single again. It’s easy to overlook red flags and compromise on deal breakers in an effort to make a relationship work at all costs. Do not let fear motivate your decisions, and remember that it’s impossible to find the person God has in store for you if you’re afraid or unwilling to end a relationship that isn’t working. These questions are a starting point in discerning whether a relationship could lead to marriage. Remember to invite God into your relationship through praying for clarity and peace, and putting his will before your own. Dating can be stressful and difficult, but the right relationship for you will leave you with peace and confidence rather than confusion and fear.